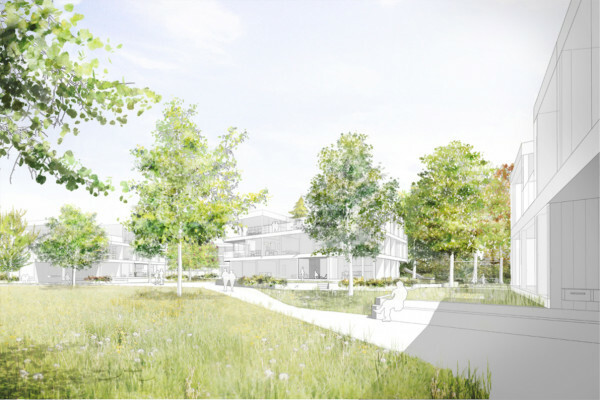 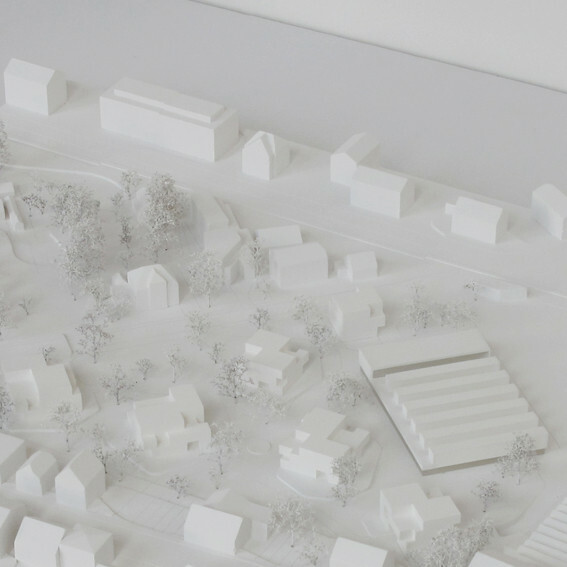 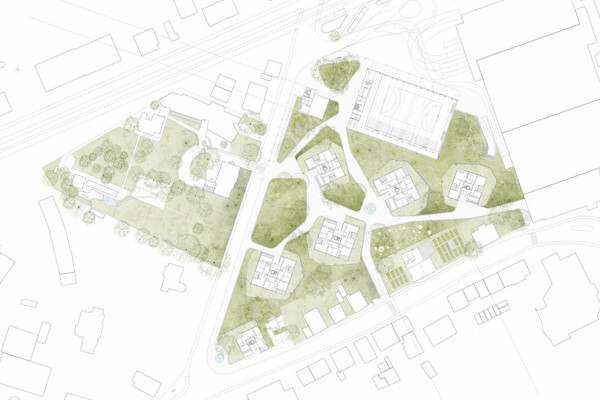 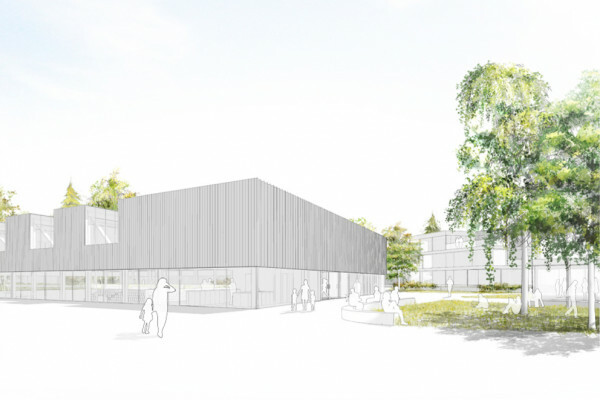 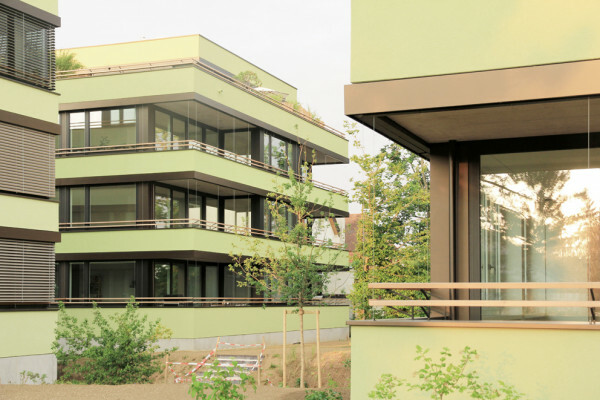 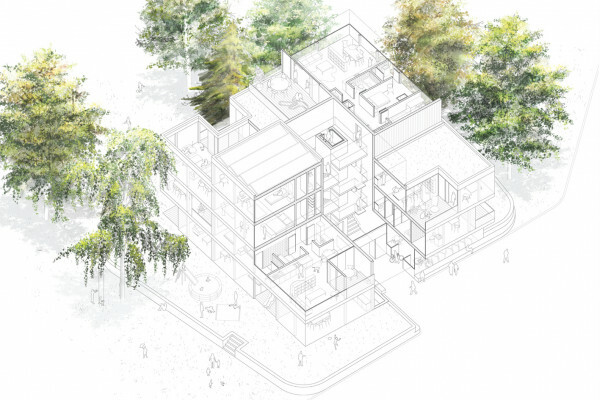 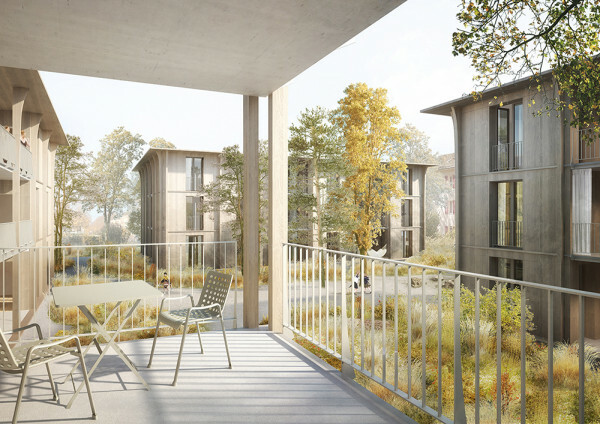 Taking its cues from the atmosphere of the Schöpflin Foundation’s existing garden, the new masterplan for the Schöpflin Areal creates a verdant neighborhood at the heart of Brombach where a public gymnasium and series of apartment buildings are also planned. 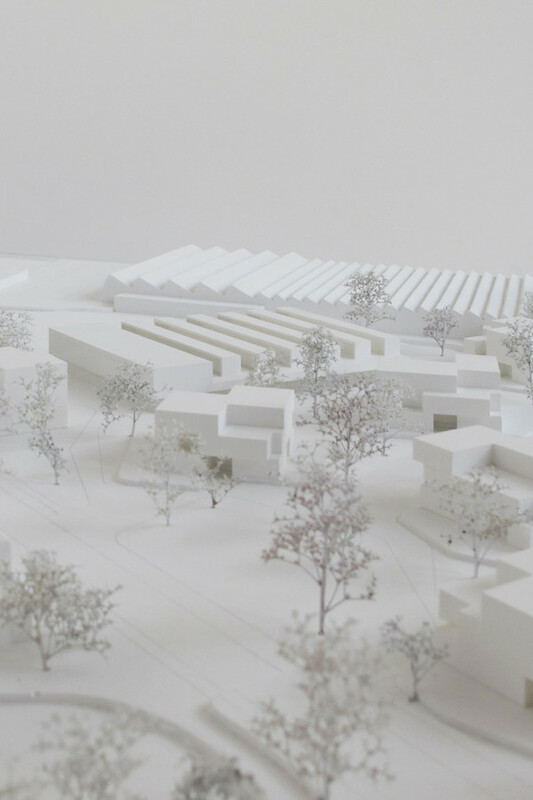 The transfer of this generous park-like atmosphere to the larger neighboring plot through adjustments to its scale and use is the first key move, but what morphology should the planned buildings have? 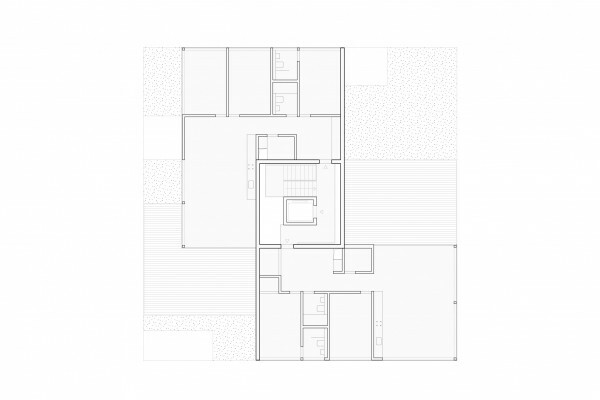 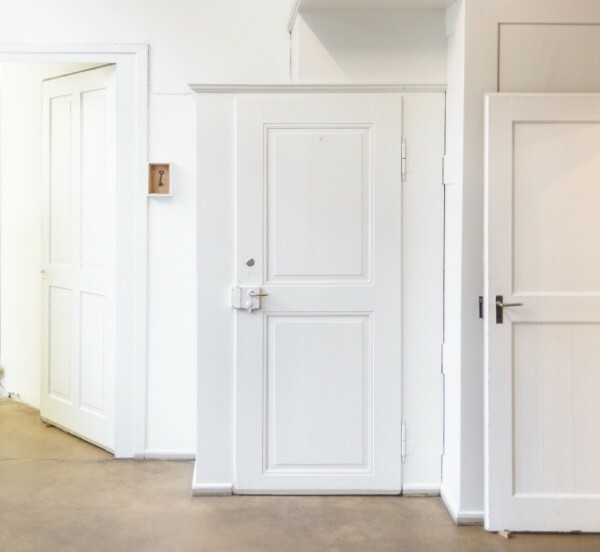 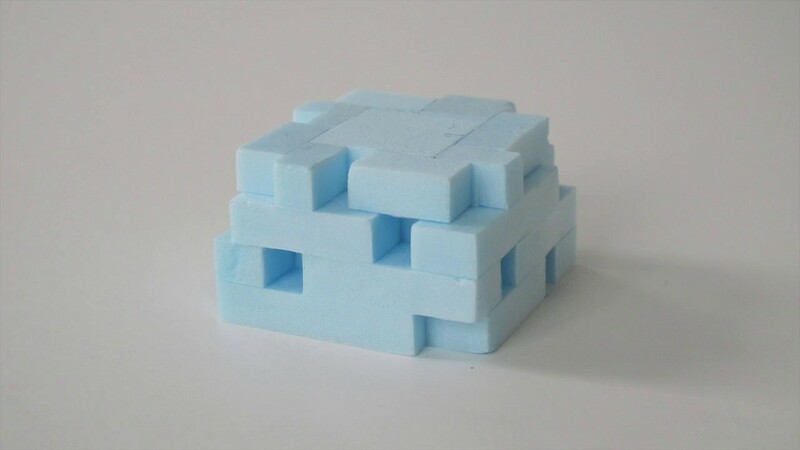 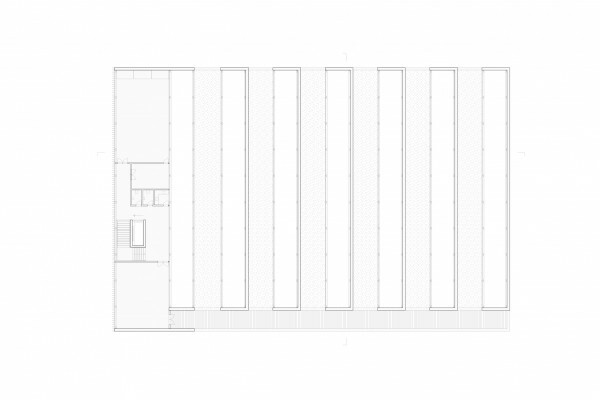 In order to find a certain harmony with the surrounding urban structure, characterized by two very different types of building, large-scale industrial sheds and small-scale residential buildings, we discovered that the gymnasium should become as small as possible and the apartment buildings as large as possible. 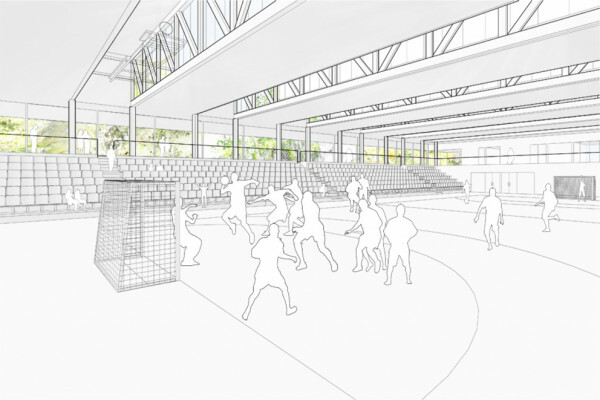 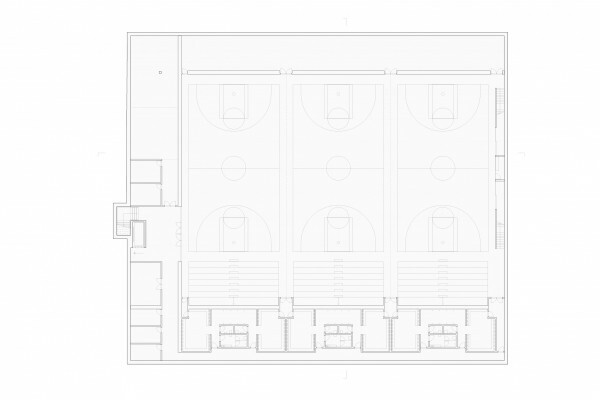 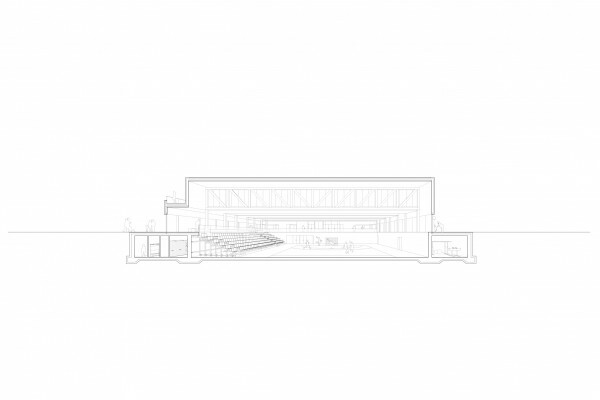 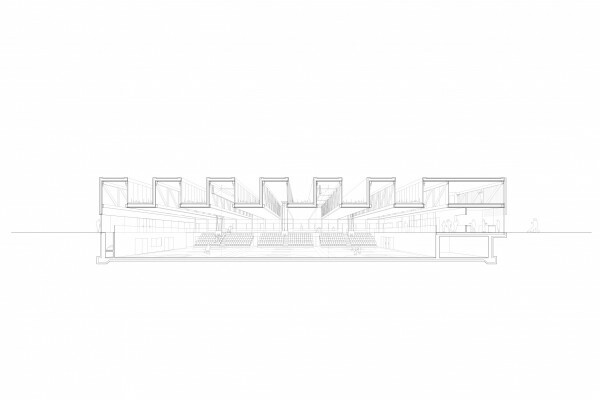 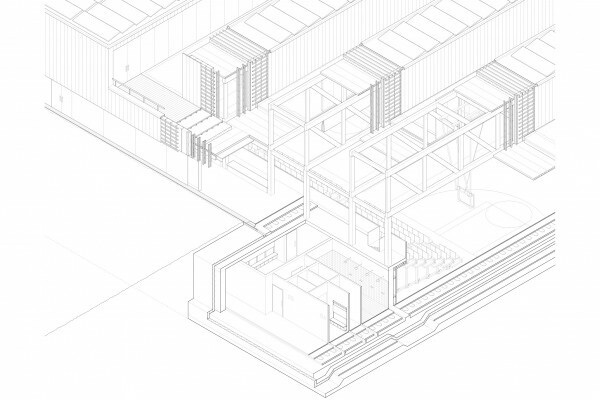 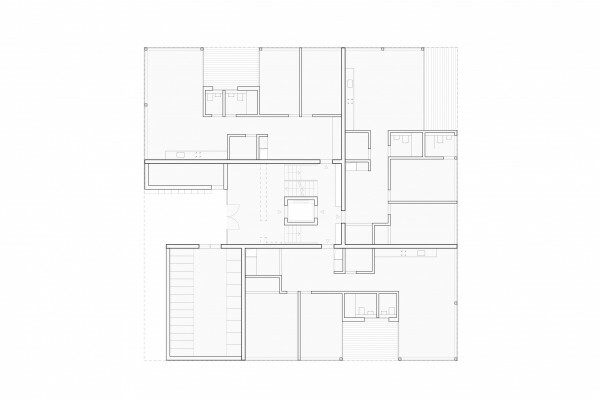 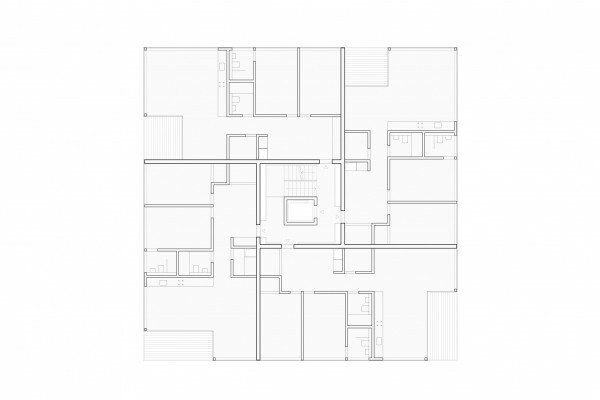 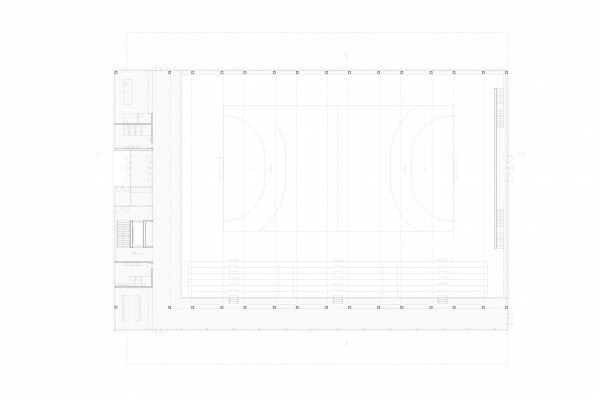 Through its sheer scale and presence the sports hall naturally refers to the spatial and structural typology of the industrial buildings, whilst the new apartment buildings mediate between the gymnasium and the existing residential buildings.